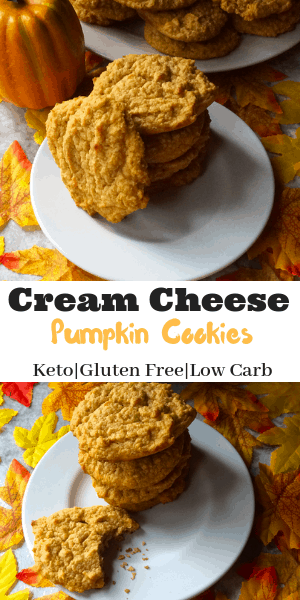 Pumpkin cookies are so easy and a perfect taste of fall. I love fall. It is my favorite season by far. Even though we are still having hot days here in New York, as soon as the calendar turns to September I need to have pumpkin. 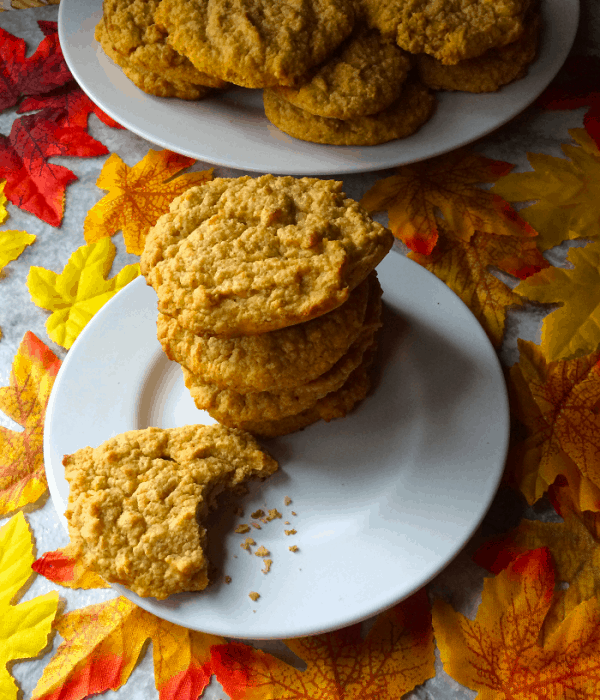 These cookies are soft and full of pumpkin flavor. 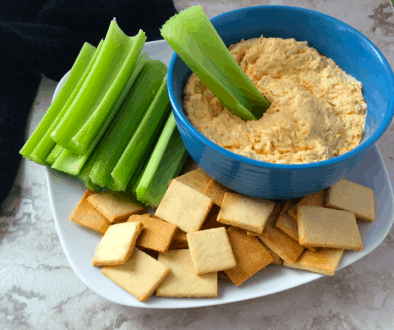 Perfect to have with a glass of almond milk or a cup of coffee or tea. It just makes you feel like fall is upon us in a very delicious way. Soon, it will be winter and fall will be just a memory. 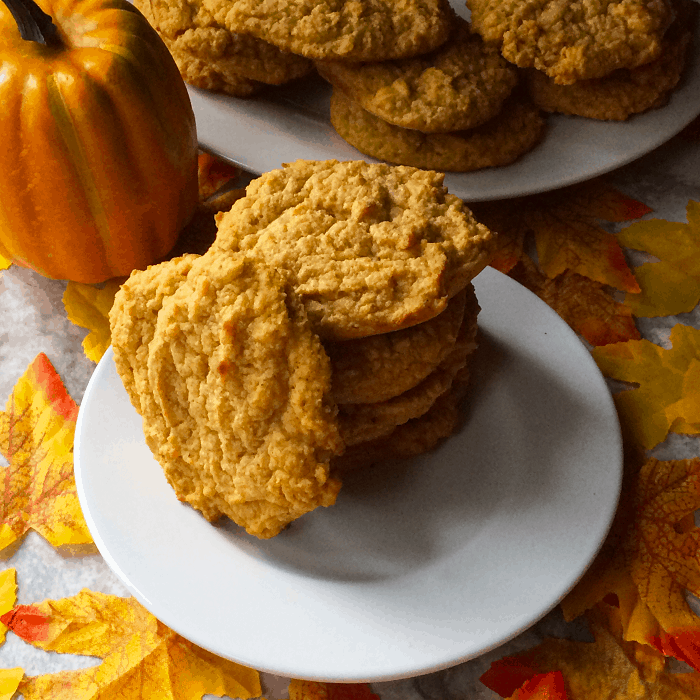 Especially because fall goes away too quickly, but you can still enjoy these cookies to get a taste of fall anytime. Blend together butter and cream cheese in a medium bowl until smooth. Add sour cream, pumpkin, eggs, and vanilla. Blend until well combined. In a separate bowl, mix together (with a fork) almond flour, coconut flour, erythritol, pumpkin pie spice, and baking powder until well combined. Drop spoonfuls of batter onto parchment lined cookie sheet, leaving a bit of space in between. The cookies will not spread much. Bake for 10-15 minutes or until they are brown on the bottom and slightly brown on top. Let sit on the cookie sheet until completely cooled. Loathe coconut. 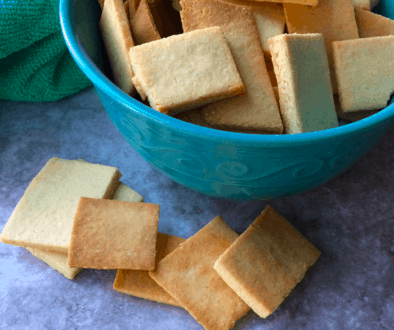 How to make these using only almond flour please? You really can’t taste any coconut in the recipe but if you really do not want to use coconut flour then try adding a cup more of almond flour and then check the thickness of your dough. I have not tried this myself so I am not sure of the outcome. The cookie dough will be drop dough thickness, about the consistency of thick oatmeal. Hope that helps. Feel free to post your results on here or tag me on Instagram. So I’ve made these twice now I think they’re absolutely amazing, what are your thoughts on doing it in a loaf pan? Would it bake correctly? I am not sure of this. I have not tried but I don’t see why it wouldn’t. You will obviously have to increase the cooking time to have it cook all the way through. Glad you like the recipe. Let us know if you do cook this in a loaf pan I would be interested in how it turns out.